Krkonošské centrum environmentální výchovy headquarters are developed as part of the landscape: the concrete roof is planted with stonecrops. 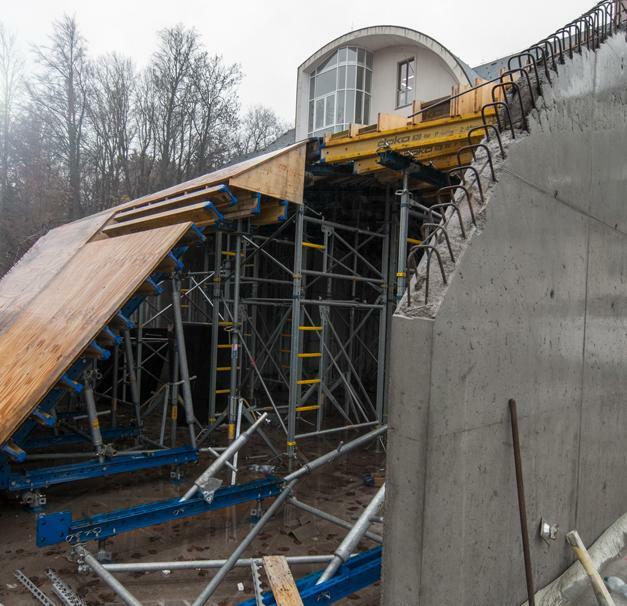 The roof formwork was produced in the workshop for custom products of Doka Czechia. Altogether it consists of 144 segments totalling more than 1,000 square metres and all that with more than fourteen inclines. Thank you for your interest - CZ_Krnap. Thank you very much for your interest - CZ_Krnap.